I am often asked as a designer what my signature style is…hummmmm. 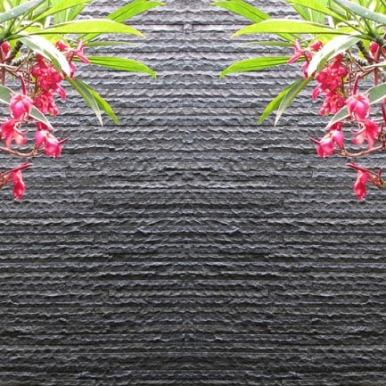 Being repetitive has never been my bag… My style is ever changing just like my hair… I like to color outside the lines, so when I was approached by Beachlen Development Company to do the interior design on a Barbados Style, ocean front home in Vero Beach, Florida, I broke out in a sweat and said…YES! Wow, something other than British West Indies or the typical architectural styles seen up and down the coasts of Florida. Now, don’t get me wrong, I love all styles of architecture but, after doing a lot of the same, I could do it with my eye’s closed. What can I say, I’m a girl that loves a challenge. So, with my new assignment in hand I began my research.In the beginning, I was introduced to the team. Tom Laboon, the general contractor and representative on the project had a talent for putting together the creative team or should I say the dream team. At least it’s been MY dream team. Dennis Rainho and Kermit White, architects and owners of Yates Rainho Architects, Inc., located in West Palm Beach, is the dream team. Their creative talents produced the beautiful design of what will become an authentic Barbados home in Vero Beach. My studies of the Barbados architecture took me on a journey to a place completely unique to any Caribbean style I had studied. Yes, Barbados is English/Georgian, but I found mixed with a bit of a twist all its own. A reoccurring theme in Barbados architecture is their white coral stone. In 1947 architect Sir Jeffrey Jellico created Heron Bay, a Palladian villa, modelled on the Villa Maser in Italy, and it glorified white coral stone and set a standard in the history of Barbados architecture. A dark contrast to the white coral stone is beautiful black wrought iron seen as banisters and bold chandeliers. Images of a foyer with the walls in the white coral stone represent the character that we need to create for this project. Notice the large grout joints and the texture the walls are putting out into this space. This unique look is true to the Barbadian vernacular architecture. 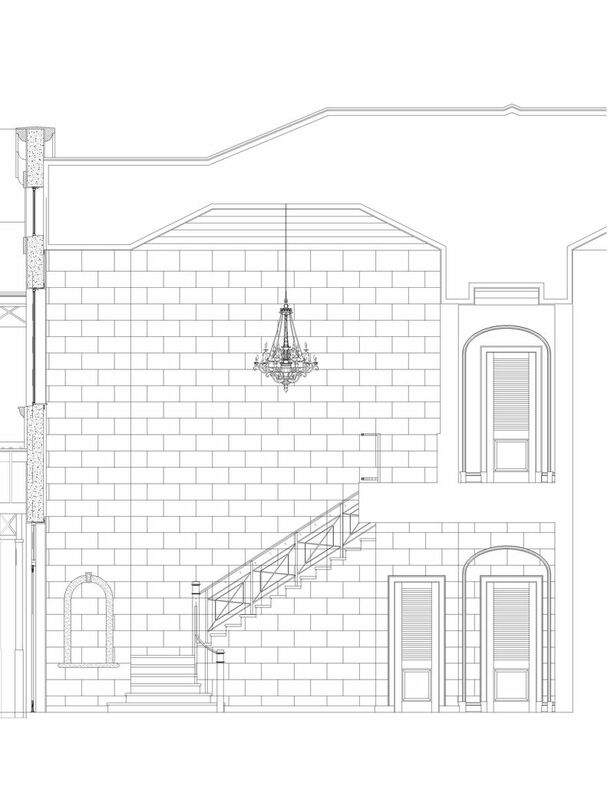 My interior design elevation of the foyer has a mirror image of the opposite side with dual staircases. I will be tiling the walls with 12-inch by 24-inch cut white coral stone. 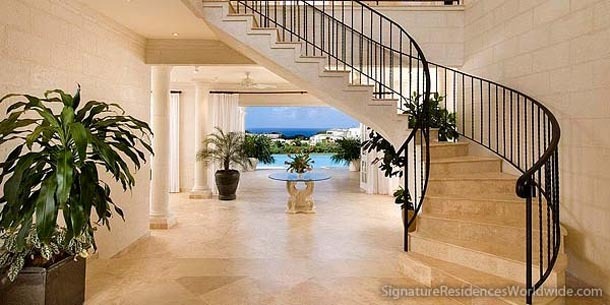 The floors and stairs will be pearl beige limestone cut 36-inch by 36-inch, laid in a diagonal pattern as seen in mansions throughout Barbados. The black wrought iron banisters and chandelier have been custom designed with understated lines which add the proper balance to the room. The ceilings are done in washed white oak adding warmth to the space. 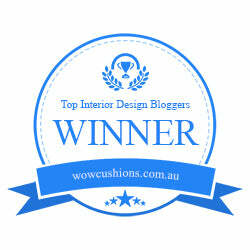 I selected the white washed oak ceilings throughout many of the rooms in combination with the limestone floors. The monochromatic atmosphere is a great backdrop to accents of mahogany furniture you might see in a Barbadian home. I have used the mahogany wood in the cabinetry and built-ins and accents in the architecture of the rooms. The living room is a huge room, measuring 24 ft. by 22 ft. with 30 ft. ceiling. The wall that you are viewing is the living room fireplace. 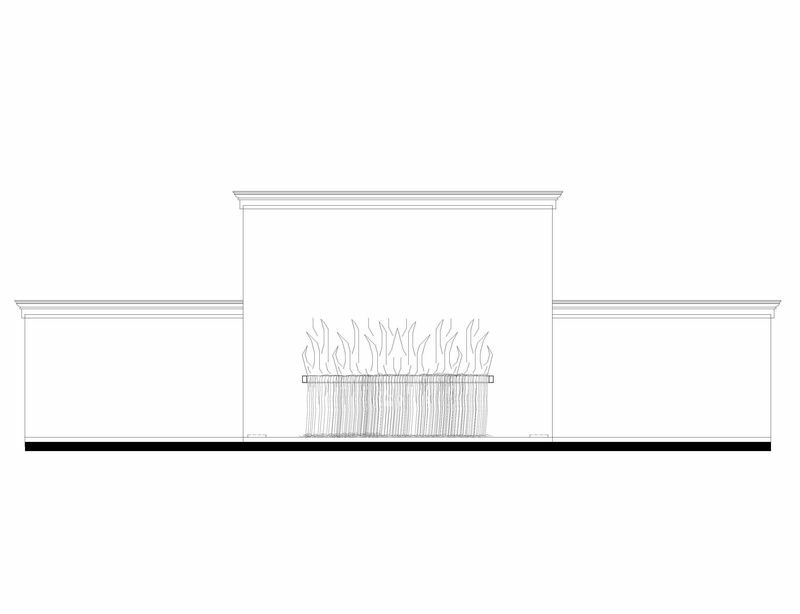 I loved the idea of doing a long linear fireplace as opposed to a traditional shape. The Barbadians are known for adding a twist to the architecture which I thought this room offered the perfect opportunity. The vertical panels are going to be done in a rich mahogany wood and create the proper scale to the 30 Ft. height. The hearth and the surround will be pearl beige limestone. Washed white oak floors and ceiling continues the theme throughout the rooms. 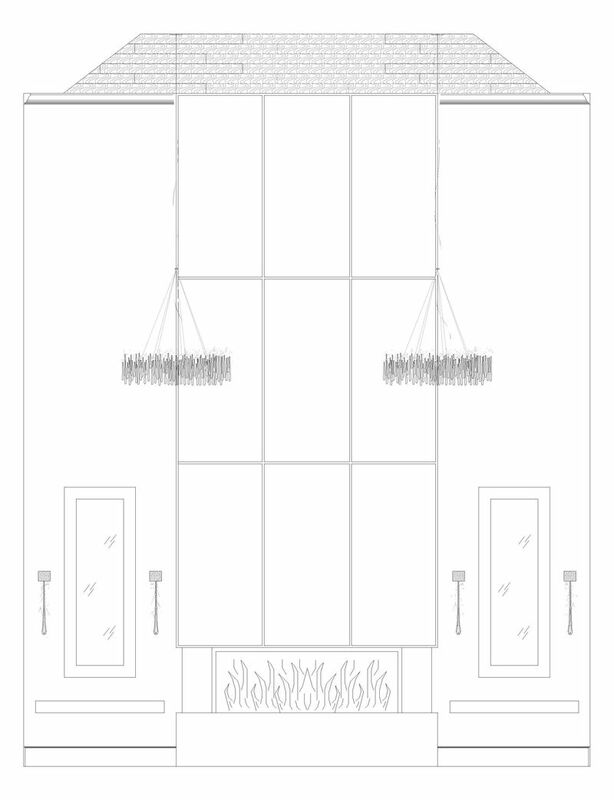 The long mirror frames and shelves will match the mahogany panels above the fireplace. 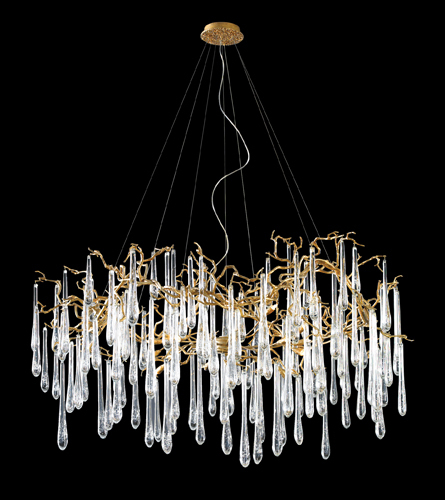 The chandeliers I chose for the living room will be the sparkle that creates the ” WOW ” factor. Each one is different, no two are alike. To me they take on a life much like the sea grape plants along tropical coastlines. Matching Sconce used on either side of the mirror. I would love to share the whole house design with you but, it would take a novel due to the size of the home. 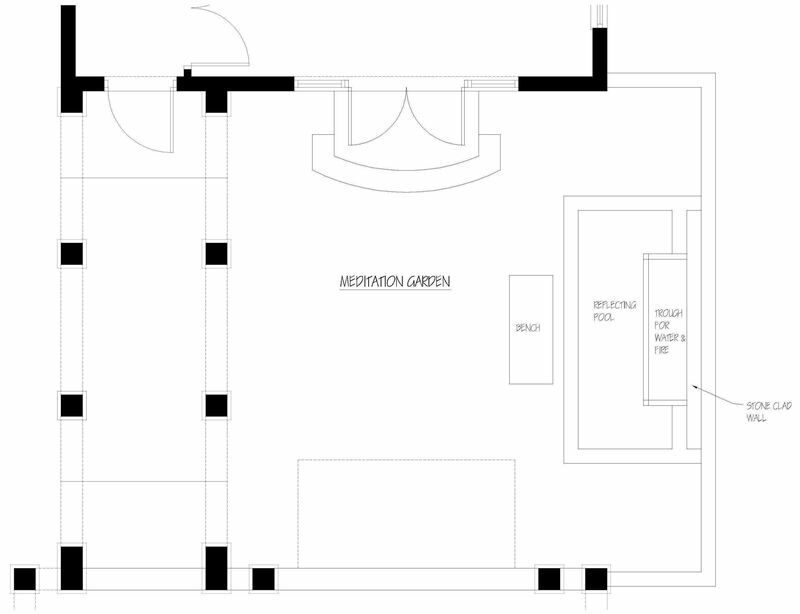 The last design that I would like to give you a glimpse at is just outside of the meditation room/exercise room. I, being a yogi, have named it the meditation room. Just outside is the meditation garden which will be perfectly landscaped and have a meditation bench so you can sit and view the fire/waterfall fountain I have designed. The theme to this space is calm. The warmth of the fire and the sound of the water hitting the reflecting pool should clear your mind for good thoughts. It has been my pleasure to work on such an incredible project and with such talented people. I hope you will check in to see the final unveiling to this Barbadian masterpiece.